Located in the most coveted area on Sonoma’s Eastside, Lovall Valley Loop Road, this gated wine country estate sits atop its own 12.3 acres. 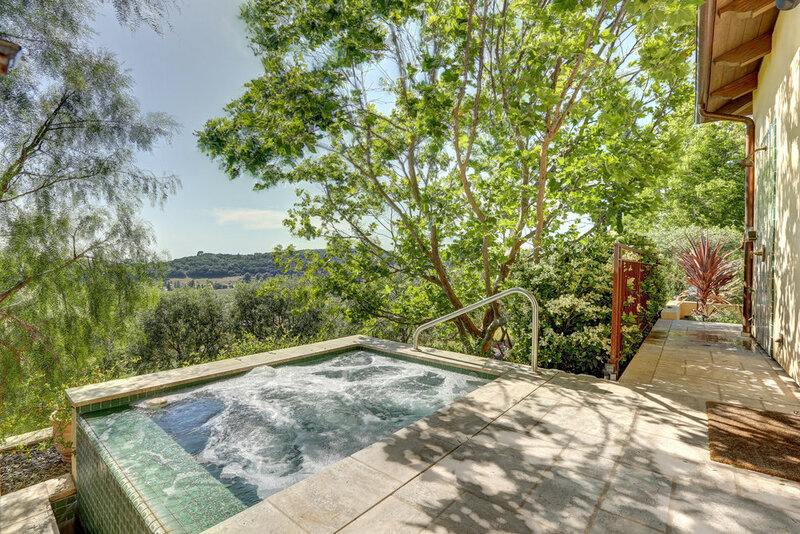 Commanding views of rolling hills and open skies extending to Napa Valley, the San Pablo Bay and Mt. Diablo. 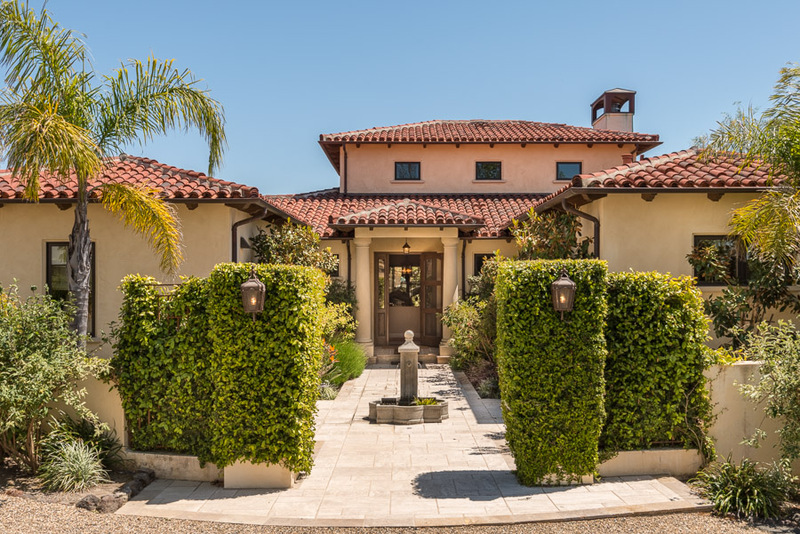 Beautifully landscaped and impeccably maintained, the property’s main house, guest house, pool and entertainment pavilion are well sited around delightful terraces, pathways, and gardens. Consisting of 3,300 sq. ft. the main house is on one level offering 2 bedrooms and 2.5 baths. 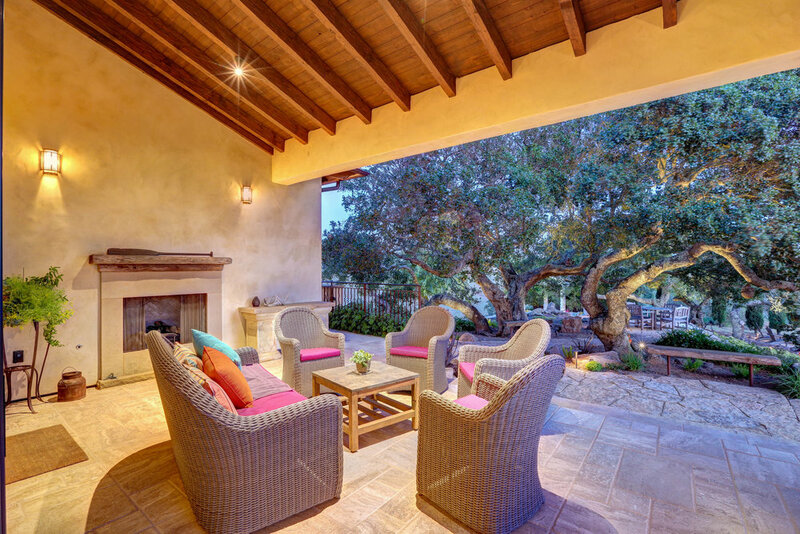 Design elements include Wyoming open-beam, 19’ ceilings, Venetian plaster walls, and numerous French doors accessing the many dramatic outdoor seating and dining areas. The main house also offers a chef’s kitchen, media room, his/hers office alcove and a mudroom. An approx. 900 sq. ft. guest house with full kitchen and bath is ideal for visiting friends and family. 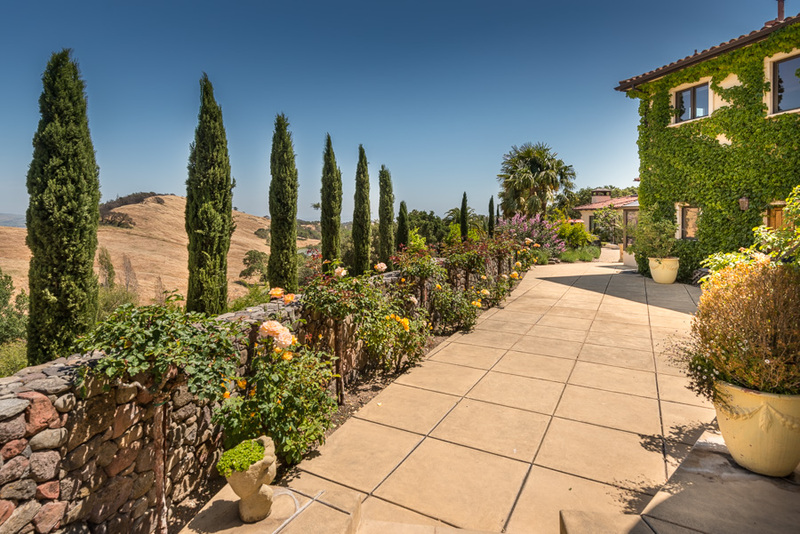 All of the property’s grounds are easily accessed and boast a 1.5 acre Syrah vineyard, olive trees, a seasonal creek, pond and a variety of fruit trees. Blending a spectacular setting, quality craftsmanship, modern amenities and timeless design; this extraordinary estate embodies the best of wine country living.